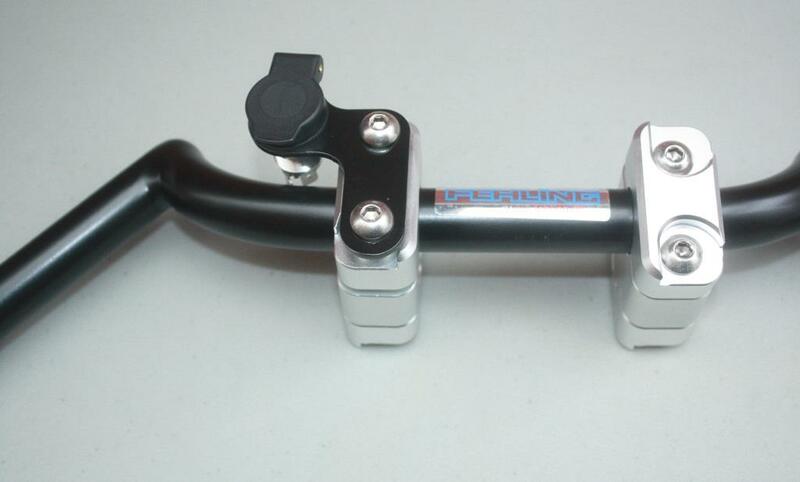 Bracket for handlebar top clamp mounting of 12 V DIN and powerlet sockets. 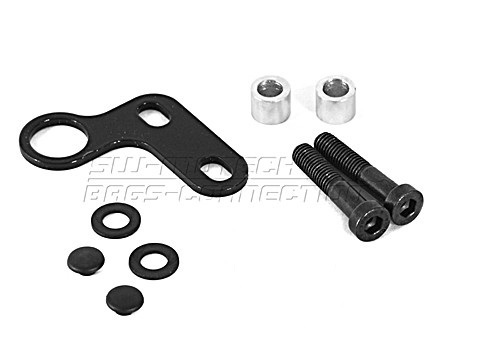 The bracket will fit almost every motorcycle with a clamp hole separation distance of 28-39 mm. A useful little helper to keep your cockpit tidied up.